Lloyd’s, a well-known insurance market located in London, has reported that demand for “cyber insurance” is on the rise in light of a growing number of high-profile security incidents. “Cyber risk poses the most serious threat to businesses and national economies, and it’s an issue that’s not going to go away,” said Inga Beale, chief executive of Lloyd’s. 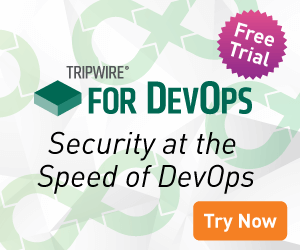 Last fall, Tripwire published an article that discussed why so few companies are purchasing insurance policies that would protect them in the event of a security incident or breach. We cited the industry’s novelty, not to mention various exclusions, as reasons why companies are forgoing this type of protection despite the risks. Lloyd’s findings, however, may reveal that companies are reconsidering. “In general terms, we’re continuing to see new customers purchasing cyber insurance and existing customers purchasing higher limits following recent high-profile attacks,” stated Geoff White, the underwriting manager for cyber, technology and media at Lloyd’s syndicate Barbican. White went on to reveal that the digital security market has seen a 50 percent increase in the amount of insurance submissions filed in the first three months of 2015, as compared to the same time period last year. This rise in the number of companies interested in purchasing “cyber insurance” undoubtedly reflects the series of high-profile incidents reported last year. Not only this, but as the Sony hack demonstrated in particular, hackers are now targeting companies’ intellectual property and proprietary information, assets whose sensitivity rivals that of customer databases and corporate financial reports. Even so, many UK companies are still vulnerable to hacks, with 81 percent of large companies and 60 percent of small enterprises having suffered a data breach in 2014, according to the UK government’s Information Security Breaches Survey. Lloyd’s has announced its findings only a few days after President Obama declared a state of emergency and signed an executive order allowing him to impose sanctions on individuals and/or other entities that hack American businesses and infrastructure.